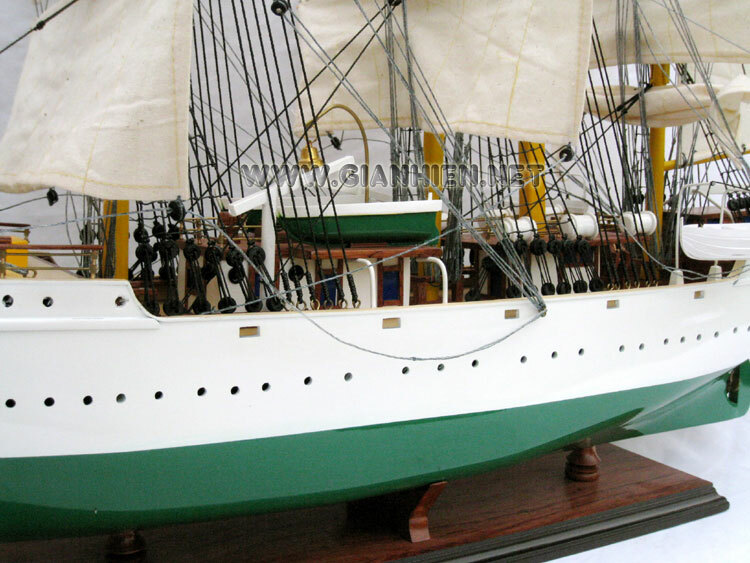 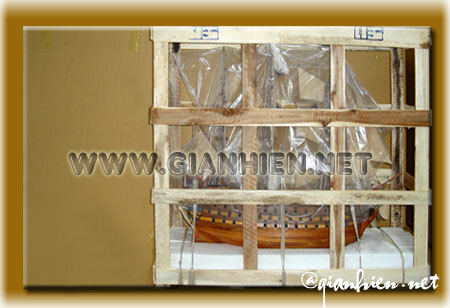 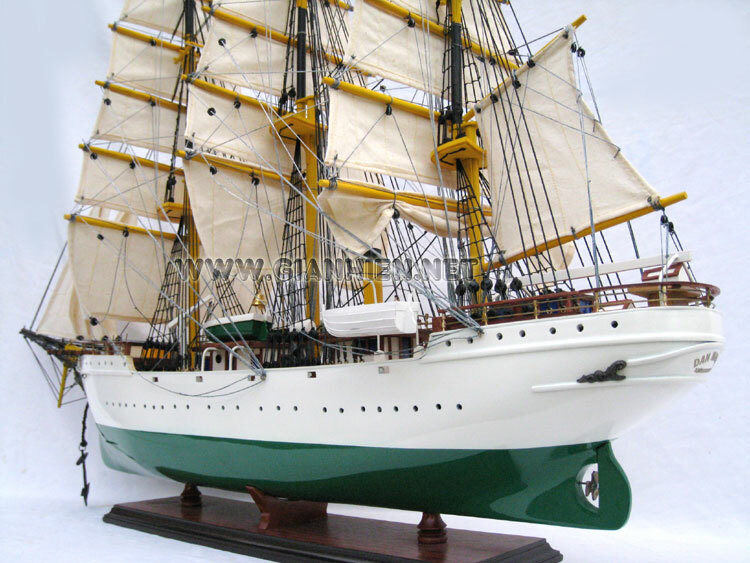 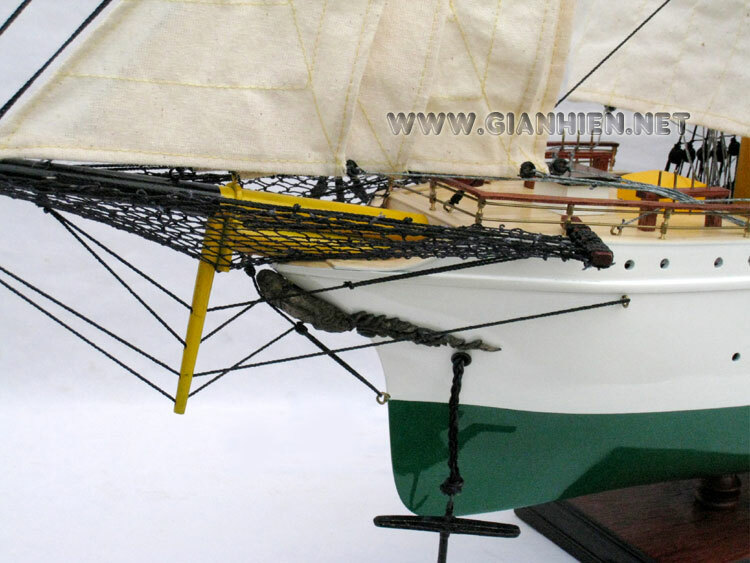 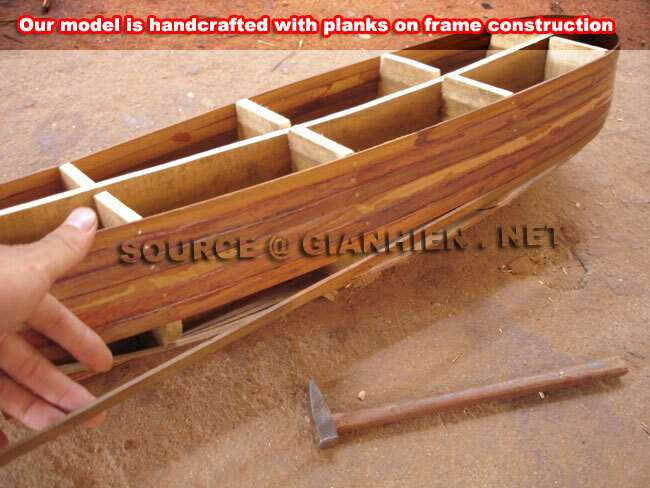 Our model is hand-crafted from hard wood with planks on frame construction and painted as the color of the real boat. 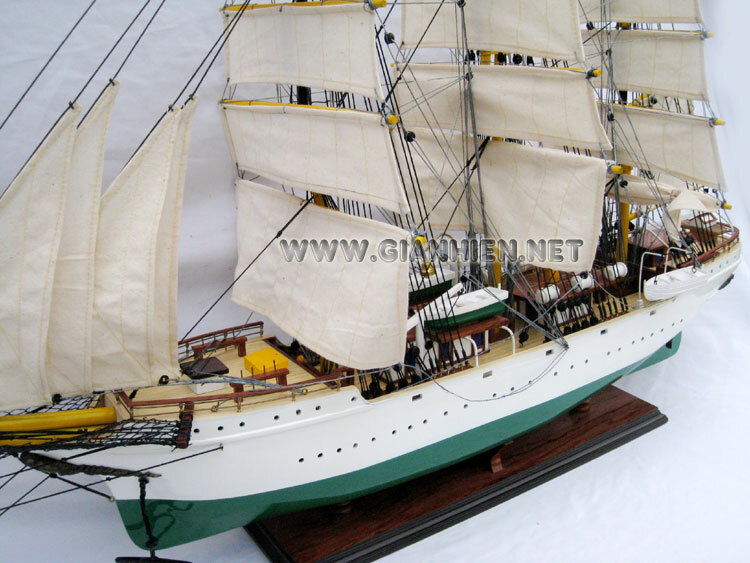 Models is fully assembled and ready fro display. 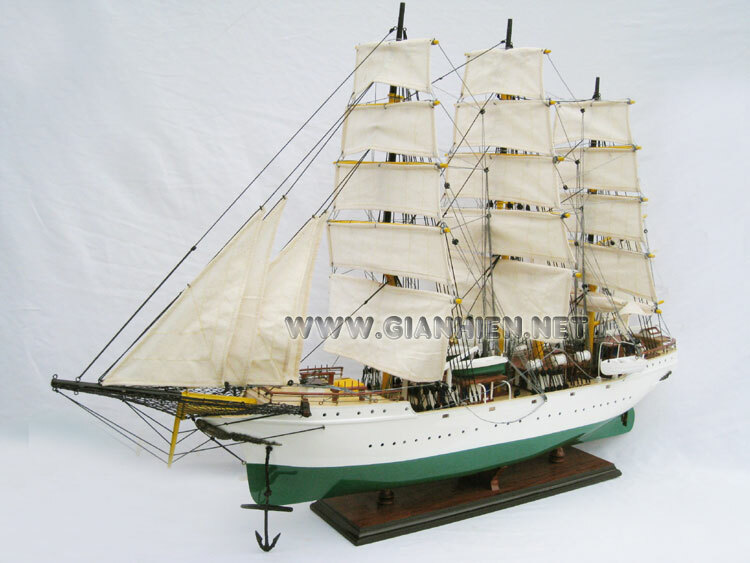 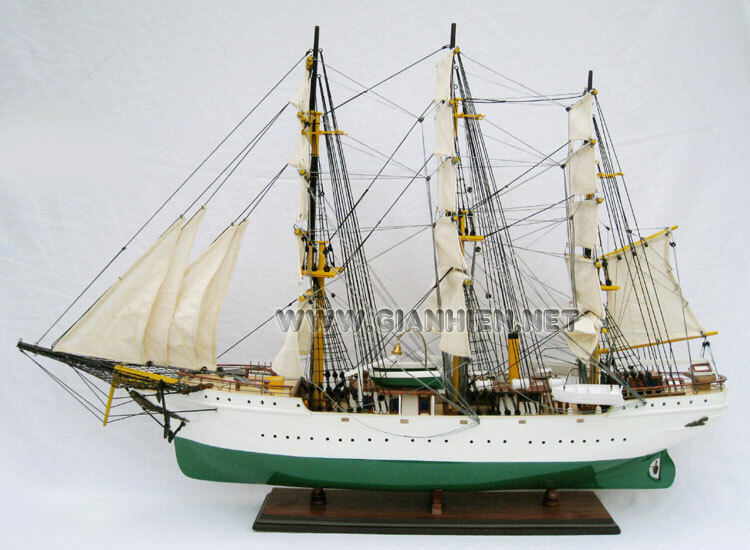 DENMARK is a steel-hulled, three-masted and full-rigged ship. 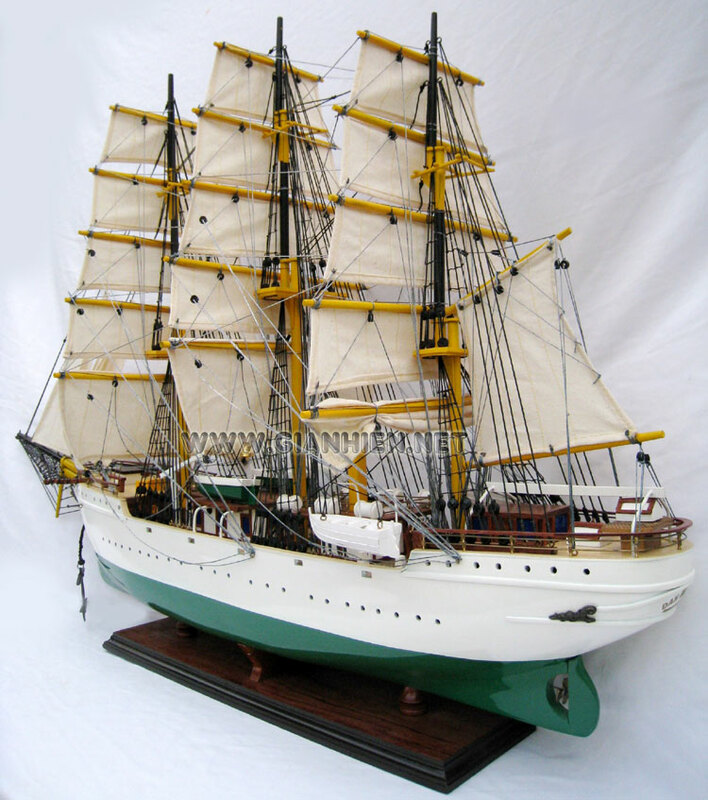 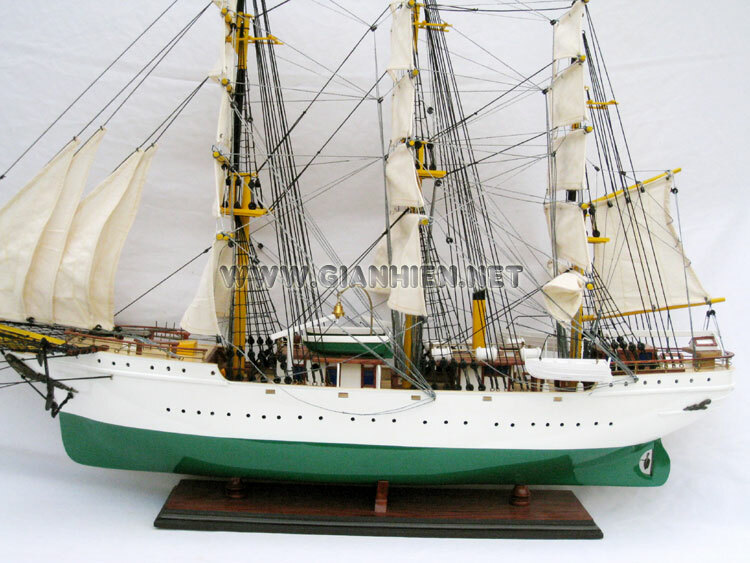 It was build as a training ship in 1933 at Nakskov Shipyard in Denmark. 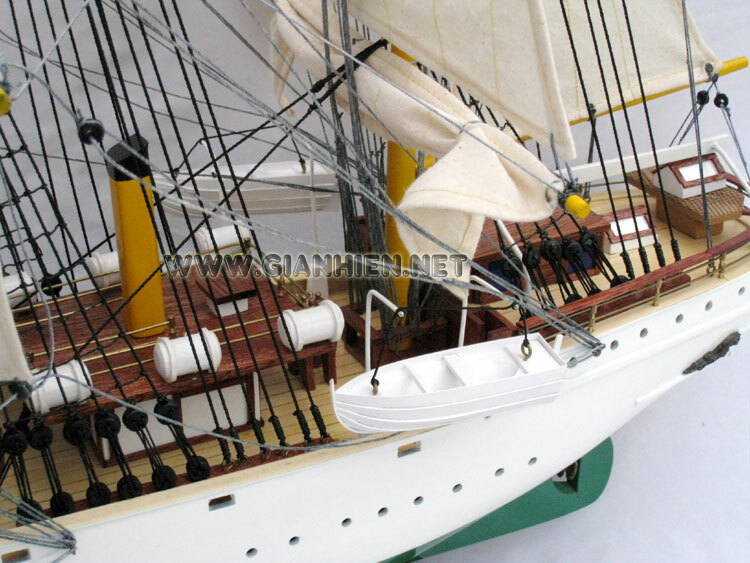 Since then it has provided basic training of young people seeking careers at sea. 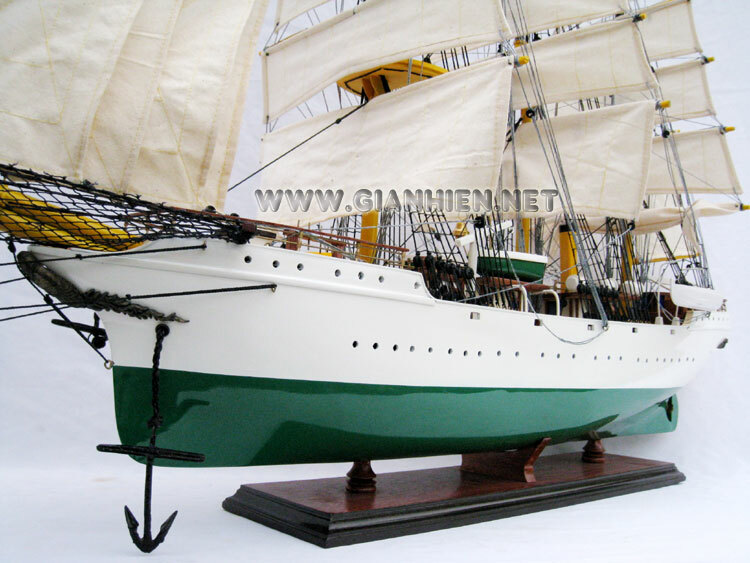 Our model is built from wood and painted. 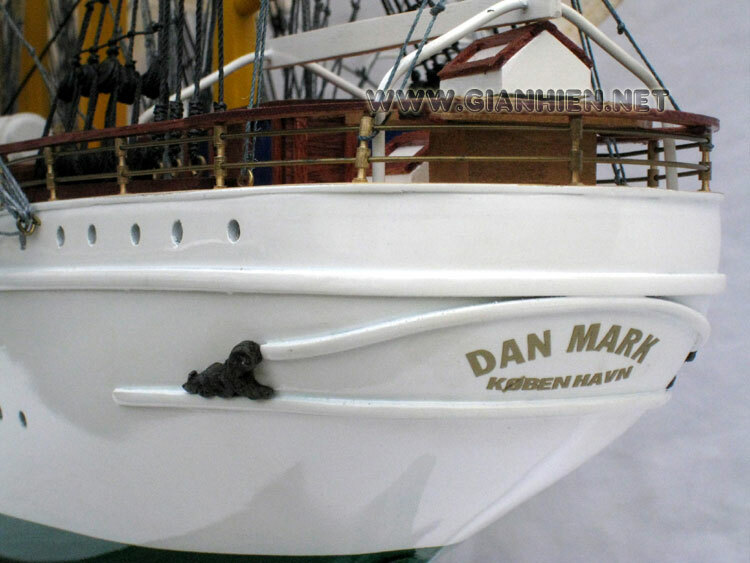 There is no plastic and the hull is scratch built with strips of wood on frame.